Stan Lee, the Mighty Man from Marvel, and John Buscema, active and adventuresome artist behind the Silver Surfer, Conan the Barbarian, the Mighty Thor and Spider-Man, have collaborated on this comics compendium: an encyclopedia of information for creating your own superhero comic strips. Using artwork from Marvel comics as primary examples, Buscema graphically illustrates the hitherto mysterious methods of comic art. Stan Lee's pithy prose gives able assistance and advice to the apprentice artist. 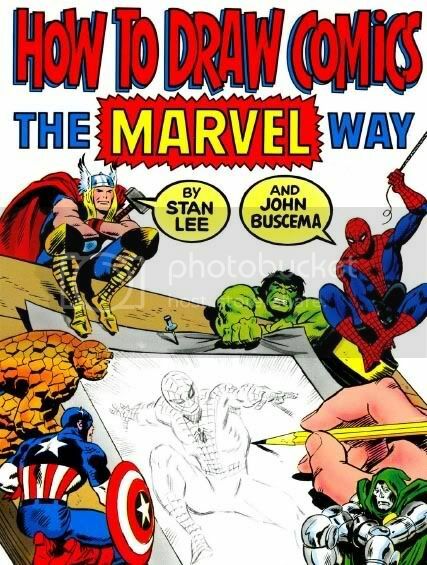 Bursting with Buscema's magnificent illustrations and Lee's laudable word-magic, How to Draw Comics the Marvel Way belongs in the library of every kid who has ever wanted to illustrate his or her own comic strip.